During the month of March I spent a great deal of time studying the different variations of Fraktur in the Pennsylvania Dutch communities and its association with Braucherei (Pow-Wow). 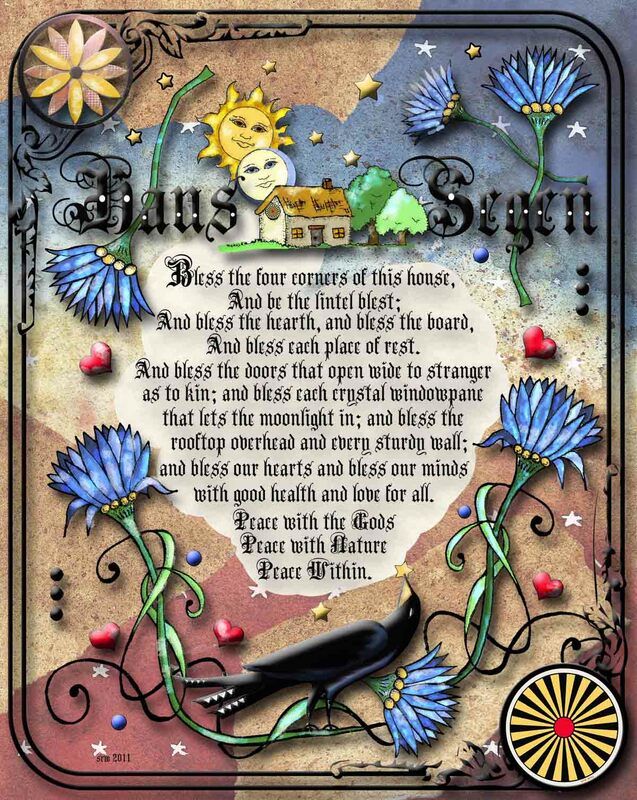 I was so inspired by this art form that I created two Haus Blessing Frakturs to give to family and friends. I also created these designs in black and white so that you could color and enjoy them too! Please remember that these designs are for your personal enjoyment and magick. They cannot be sold or transmitted in any form without my permission. Thanks! If you don’t like these designs, that’s okay — why not make your own! Brief instructions on how to empower are on my website. Enjoy!